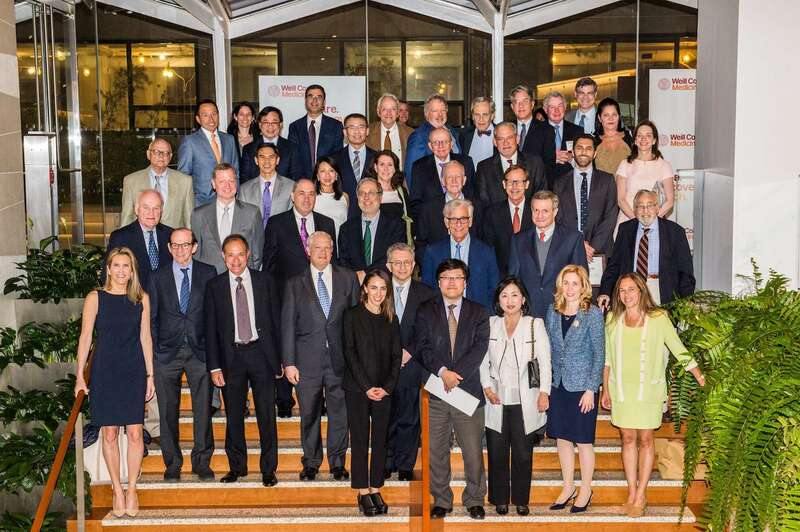 The Dean’s Circle, Weill Cornell’s alumni giving society for leadership donors, was established in 1997 to recognize alumni who have made significant financial commitments to ensure the continued excellence of the Medical College. The names of Dean's Circle members are listed prominently on a donor wall in the Weill Education Center, located at 1300 York Avenue. Members receive a certificate signed by the Dean of the Medical College, and a lapel pin symbolizing membership in this distinguished group. Dean’s Circle members are invited, along with a guest, to join the Dean at an annual recognition dinner in New York City in June. Members are also invited to other special events throughout the year. The Dean's Circle honors Weill Cornell alumni who make outright gifts or pledges of $25,000 or more (including long-term payment arrangements, IRA distributions, or gift annuities), as well as alumni who establish planned gifts of $50,000 or more. Members typically allocate their support to their class scholarship fund or endow a named scholarship, but gifts can also be allocated to any area of interest, such as faculty recruitment, the global health program or student enrichment programs. For more information, please download our Dean's Circle brochure or contact Clara Sharp, Director of Alumni Strategy and Engagement: (646) 962-9484 // clc2016@med.cornell.edu. Alumni who make additional Dean's Circle gifts advance to the next circle. Antonio M. Gotto, Jr., MD, D.Phil.